The accession to power of the likes of Donald Trump is by far the greatest catastrophe — moral and environmental — to befall the planet since WW II, perhaps ever. With control of the White House, the Senate, the House of Representatives and the Supreme Court all ceded to Trump, all the US consitution’s intended checks-and-balances are check-mated and Trump’s malign destructiveness is unchecked. I address this letter to Honorary and External members of the Hungarian Academy of Sciences. Several of you have resigned from ourAcademy, protesting the policies of the Hungarian government and assuming that the Academy did not work to mitigate these. This is a very serious loss for us. I understand their concerns, and respect their decision, but I would like to make some comments about the Academy’s position. Democracy in Hungarian society is still evolving and sadly it has been and still is deeply divided between – roughly speaking – a liberal and conservative side. Throughout society, including intellectuals, this leads to opposing camps, and the tribal mentality often dampens the critical balanced approach that could be expected from such people. Nor can I agree that ? in the name of keeping science separate from politics ? there is nothing more the Academy can do. I think the Open Letter of the Internal Members and Doctors indicates what the Academy can do. But I fully understand the difficult position you are in, in view of the fact that the Internal Members? salaries and pensions as well as their research grants are under the control of the Orban regime. Opposing the Orban regime are not just liberals but centrists and conservatives, although they are all collectively labelled as liberals (and communists and traitors) by the Orban regime. Even the neo-nazi Jobbik party, which is as far right as one can be, is opposed to Orban?s kleptocracy. The signatories of the Internal Members’ and Doctors? call for the Academy to investigate and openly debate these actions. This is the way the Academy can do its part in trying to restore freedom and democracy in Hungary. Not in trying to reassure External Members that these are all just partisan political differences on which science is best served by remaining mute. One of the signatories of the 2011 Open Letter about the “philosopher affair? (which had been a microcosm and harbinger of what was to ensue in the country as a whole in the next 5 years) had been successfully persuaded to withdraw his signature ? by receiving a barrage of the apparently polarized views on the issue (government press and police harassment campaigns against Academy members critical of the Orban regime)? that this was just a partisan political matter on which he could not make a judgment one way or the other. The ensuing five years have since demonstrated to the world that the polarization is not between liberals and conservatives in a democracy, but between opponents and collaborators of a malign and sinking autocracy. This time this prominent academician resigned. I doubt that Professor Lovasz?s letter will persuade him to withdraw his resignation, or to rue it. In Hungary today democracy is under a dark cloud that is seriously threatening freedom of expression, human rights and even the rule of law. As External Members of the Hungarian Academy of Sciences (HAS), we are witnessing with alarm and dismay the relentless and unchecked deterioration of social freedom and justice under Hungary?s current government. We feel that the Academy has the responsibility and the historical duty to raise its voice in defense of freedom and justice in Hungary. Failure to do so would be to miss its higher calling. “that the Academy [should] initiate substantive discussion as soon as possible about the anti-democratic developments in Hungary, especially freedom of the press, and that the Academy should take part in the exploration of issues important for the whole of society? We extend here a general call for External Members of the Academy to join us in resigning in protest against the Orban regime and its repressive policies. This call is addressed only to External Members, not to Internal Members, who might otherwise risk a fate comparable to that of the staff of Hungary?s largest independent newspaper, Népszabadság, often critical of the government, whose operation was abruptly terminated without warning or justification on October 8th 2016. This open manifesto will appear online at the Hungarian Spectrum website (hosted by Éva Balogh, Professor of History Emerita of Yale University and archived by the US Library of Congress). 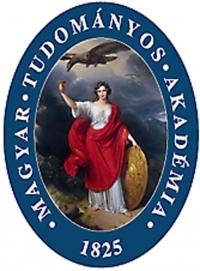 External Members of the Hungarian Academy of Sciences are invited to resign by sending an explicit letter of resignation by email to the President of the Academy, Professor Lászlo Lovász lovasz.laszlo@titkarsag.mta.hu along with a CC to editor@hungarianfreepress.com. Once your identity and intention to resign have been confirmed, your name will be added to the list below. We, the undersigned members and doctors of the Hungarian Academy of Sciences [HAS], representing a variety of world-views and academic interests, hereby wish to express our concern about the antidemocratic processes that have been taking place in Hungary in the last few years, especially the threat to freedom of the press. We consider it highly damaging to amend Hungary?s constitution to diminish the role of checks and balances that is normal in democratic states and to exploit the refugee crisis to arouse xenophobia. We consider it important that, as a prominent embodiment and forum of our nation?s intellectual sphere, the Hungarian Academy of Sciences should be playing an investigative role as well as implementing substantive debate about these matters of concern for the whole of society. Our concerns are particularly reinforced by the letters that have been sent to the President of the Academy by external and honorary members in the last few days. The significance of the issues raised is underscored by the fact that these respected scholars, concerned for Hungary?s future, have elected to resign as members to protest the inaction on the part of our Academy. He is right. Most researchers are still not doing the requisite keystrokes to deposit their peer-reviewed papers (and their frantic librarians’ efforts are no substitute). The reason is that researchers’ institutions and funders still have not got their heads around the right deposit mandates. The biggest Quasitory of all is the Virtual Quasitory called Google Scholar (GS). GS has mooted most of the fuss about interoperability because it full-text-inverts all content. It’s a nuclear weapon, but it is in no hurry. Unlike institutions and funders, GS is under no financial pressure. And unlike publishers, it does not have the ambition or the need to capture and preserve publishers’ obsolete, parasitic functions (even though, unlike publishers, GS is in an incomparably better position to maximise functionality on the web). GS is waiting patiently for the research community to get its act together. Can’t blame publishers for striving at all costs to keep making a buck, even if they no longer really have any essential product, service or expertise to offer (other than managing peer review). Publishers’ last resort for clinging to their empty empire is the OA embargo — for which the antidote — the eprint-request button (the IR’s functional equivalent of Academia.edu and ResearchGate — is already known; it’s just waiting to be used, along with effective deposit mandates. As to why it’s all taking so excruciatingly long: I’m no good at sussing that out, and besides, Alma Swan has forbidden me even to give voice to my suspicion, beyond perhaps the first of its nine letters: S.
(2) Elsevier’s Alicia Wise has a tin ear for irony and took it as a compliment — and a cue for some free advertising. 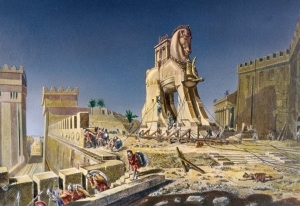 (3) If UK universities are foolish and thoughtless enough to heed the siren call of “PURE” and again let in Elsevier’s latest Trojan Horse (instead of just coupling CRIS functionality with their IRs) then (as in some other recent supremely foolish UK decisions) they will get exactly what’s coming to them.